Dr. Cader is a South Bay native and received his undergraduate degree from UCLA. Coming from a family of physicians, it was natural for him to pursue medicine, graduating from the UCLA-Drew Medical Education Program. He then pursued a Masters degree in Public Health, specializing in Epidemiology while teaching UCLA medical students. Dr. Cader went on to specialize in Internal Medicine at the UCLA/San Fernando Valley Program. He trained in Primary Care-Internal Medicine which gave him greater exposure to Alternative Medicine, Adolescent Health, Geriatrics, Men's Health, Sports Medicine, and Women's Health, in addition to care for medically complex conditions. 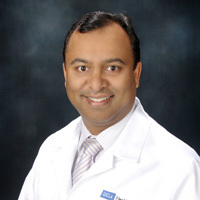 He joined the UCLA faculty while serving as Chief Resident in Internal Medicine and now holds the rank of Professor of Clinical Medicine at UCLA. Dr. Cader enjoys taking care of all of his patient care needs from simple sprains to treatment of disorders such as hypertension, CHF, pneumonia, and diabetes as well as complex medical diseases. His practice style is one of collaboration with his patients, employing preventative measures. Dr. Cader completed a Fellowship in Medical Education at UCLA and is the recipient of the prestigious Outpatient Faculty Teacher of the Year Award. He has a keen interest in community Health and Preventative Health. He cofounded UMMA Community clinic which provides health care to the poor of Los Angeles. He continues to serve UMMA's Advisory Board of Directors and volunteers his time helping the underserved. He received Humanitarian Awards for his international relief work during the Asian Tsunami and for providing care for the Homeless in Los Angeles. He is also a Fellow at the American College of Physicians (FACP). Dr. Cader lives in the South Bay with his wife and three boys where he volunteers as an AYSO soccer referee and in other community events. He grew up swimming at the Torrance Plunge and continues to enjoy swimming both in the pool and ocean. He and his family love the outdoors, traveling, going to UCLA football games and hanging out at the beach. Dr. Cader's goal is to help his patients achieve an active and healthy lifestyle.